1. The batteries in Buzz Lightyear's back are made by Buy & Large, the company from WALL-E.
2. Whenever Maui transforms into an animal in Moana, his hook can be seen somewhere on his body. Here, it's in a pattern on his wing. 3. In the Cars movies, the flies are actually tiny cars with wings. 4. In Toy Story, there's a Binford Tools box in Sid's house. Binford Tools was the fictional company in Home Improvement, which starred Tim Allen (the voice of Buzz Lightyear). 5. In Tangled, the lantern that Rapunzel touches is the same lantern that her parents lit. 6. Also in Tangled, you can actually see Rapunzel reflected in this shot of Flynn's eyes. 7. In Zootopia the one-dollar bills have a buck on them. 8. Also in Zootopia, Nick's handkerchief is the same one from his old scout uniform. 9. In WALL-E, the keyboard that the robot is using is made of only ones and zeroes. It's a reference to binary, a computer language that also only uses ones and zeroes. 10. The names of previous Pixar shorts are featured on the bookshelf in Toy Story. Red's Dream, Tin Toy, Knick Knack, and The Adventures of André & Wally B. are just a few. 11. In The Incredibles, Helen realizes that the plane wreckage is about to fall on them by seeing its reflection in the water. 12. In Aladdin, he tosses an apple at Jasmine while they're flying through ancient Greece. In ancient Greece, throwing an apple was a way of expressing love to another person. 13. In The Princess and the Frog, Dr. Facilier's shadow changes the wallpaper pattern to skulls and crossbones. 14. In Monsters Inc., the bell on the scare floor has chipped paint where the ringer hits it every day. 15. In Zootopia, a table of bootleg DVDs include animal versions of various Disney movies. 16. And finally, Apple products and logos are present in most Pixar movies, since Steve Jobs helped found Pixar. 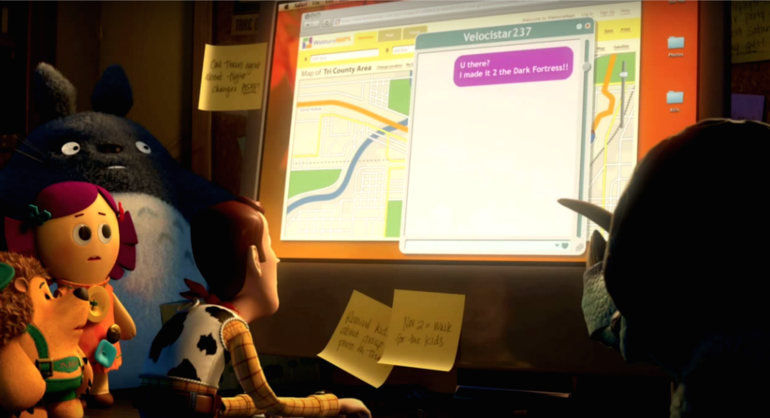 In Toy Story 3, Woody uses Safari on a Mac. 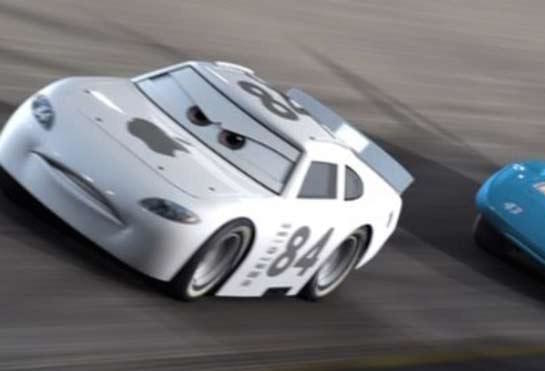 In Cars, there's an Apple-sponsored car in the Piston Cup race. An Apple-style ad can be seen on the back of a newspaper in Monsters Inc., and a computer that Mirage uses in The Incredibles has an Apple logo on the keyboard.